As promised, I'm back with another one of my skinny bakes, this time with a festive twist. 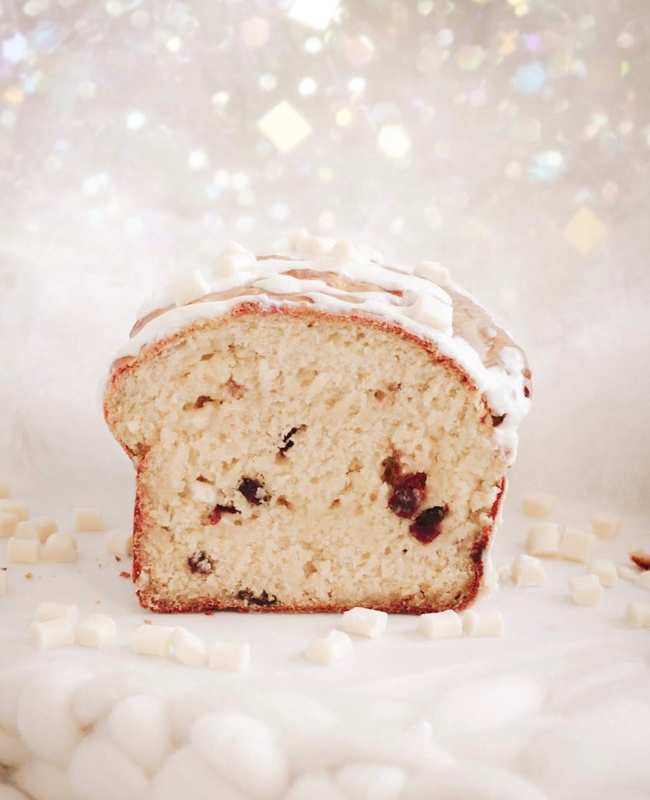 If you're like me and hate Christmas cake, but love all things festive then this pound cake/loaf cake will be perfect for you! With cranberries, white chocolate and ginger, it's the perfect combination of sweet and spicy, and every slice reminds me of Christmas evenings with all of the lights twinkling and my festive scented candles burning ✨. 1. Preheat the oven to 180° and lightly spray a standard loaf tin with low calorie cooking spray (I use the FryLight Butter Spray). 2. Combine your flour, ginger, salt, baking powder and baking soda in one bowl. 3. In another bowl, whisk your eggs, butter, granulated sweetener, vanilla extract and greek yogurt until the mixture is smooth. 4. Combine the wet and dry ingredients, slowly adding the milk to the mixture, and fold until smooth. 5. Slowly fold in the cranberries and white chocolate until they are evenly spread throughout the mixture. 6. Add the mixture into your loaf tin and ensure it is even across the top. 7. Bake for 50 mins and leave to cool - then enjoy! I hope you liked this recipe, and hopefully it's given you some inspiration for some festive baking! Please do let me know if you try this out, or if there are any other skinny bakes you'd like me to create.